Barrett and I went for a little walk today. 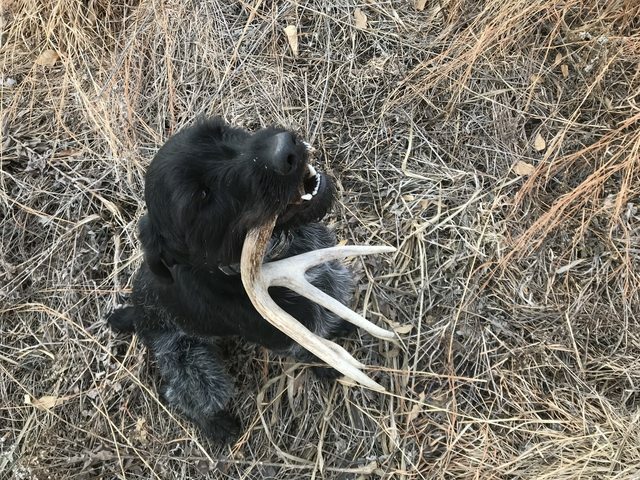 He found five sheds and dead buck. 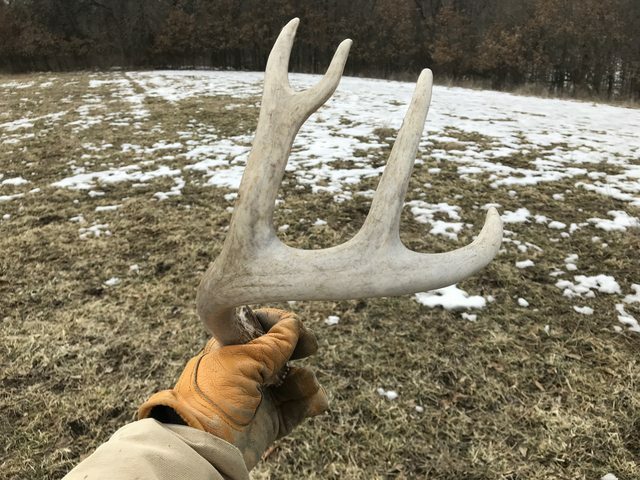 I only found one shed walking behind him. Nice. When I lived in Iowa, previous residents placed sheds around the house's flower beds. It helped protect the flowers from getting beat up in high winds. The farmers hated sheds; they would ruin very expensive tractor tires easily. Ya got some beauties there. I just played fetch with him in the yard a couple evenings with a fresh shed. Then I hid a couple in some tall grass and told him to find a bone. He did the rest himself. I’ve been very lucky with how easy he has been to train. Really haven’t done any training he just had from go and he wants to please and I follow along. Drahthaar1108 wrote: Stretch, awesome finds. This was last year at about 6 months old. Just wondering what you do with the sheds? I know some pet stores sell them for quite a bit. I’d let puppy teeth chew on the sheds, but I worry about cracking the adult teeth. Libertyrocks wrote: Just wondering what you do with the sheds? My 5 year old always has one he's chewing on around the house. Wife hates it because she's tripping over it. Couple of sets found by Barrett. You two are killing it! Spud brought me this one a few days ago. Unfortunately I discovered the buck had gotten hung in my pasture fence and died. It was a stud of a promising 2.5 year old buck that had run all over the farm this past fall/winter. I gave Spud a small fresh shed to teeth on when he was a baby. He ground it to a nubbin over time and loves to chew on them when I let him. I have mixed feelings about it as I fear he may break a tooth. So far he seems to go at it with enough moderation that it has not happened yet. AverageGuy wrote: You two are killing it! That's amazing mass. Bummer about the deer getting hung up.